I took pause a couple of weeks ago to head out with my children to the edges of our meadow. 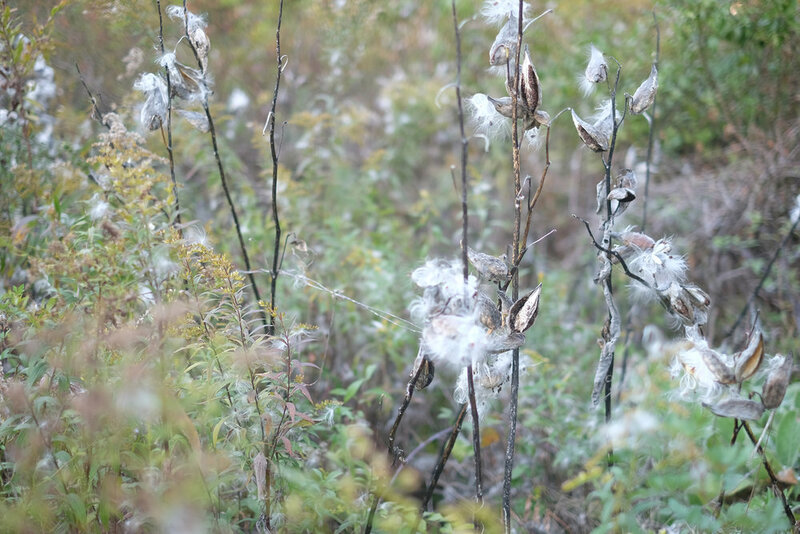 We had a special task at hand that day, to collect milkweed seeds for my Aunt and Uncle’s cabin in the Catskills. It’s a place I’ve been visiting for decades and a place my children now visit. We simply refer to it as “The Cabin”. That afternoon we gathered milkweed pods and settled into the simple joy of watching the ethereal seeds travel on a puff of air. Seasons ago, my children began to make “wishes” on the seeds, inspired by their lightness and grace as they journeyed high into the clouds. In this spirit, we conjure our wishes each fall in hopes that they will take root and thrive next spring after our winter of inwardness has passed. I have the suspicion that many unclaimed wishes made their way into our basket that afternoon and are eagerly awaiting their new place at The Cabin. Milkweed "Wishes" from The New Amity Workshop on Vimeo. Join our mailing list to receive seasonal, and decidedly infrequent, updates on all things cultivated and wild. The New Amity Workshop respects your privacy and will not share any of your personal information.